Not because your space is too small, it already means that you need to ditch your good old hippie dreams. In fact, with the right inspiration fused with your personal touch, you can always build a hippie empire out of your limited space. How? These amazing hippie home décor designs will guide you through your journey towards creating your own hippie mansion. Small space? No problem! With this very chic and hippie design, you can bid adieu to your good old coffee table and say ‘hello’ to a whole new hippie madness. Perfect for either big or small spaces, this rare item is definitely a must buy for every hippie out there. 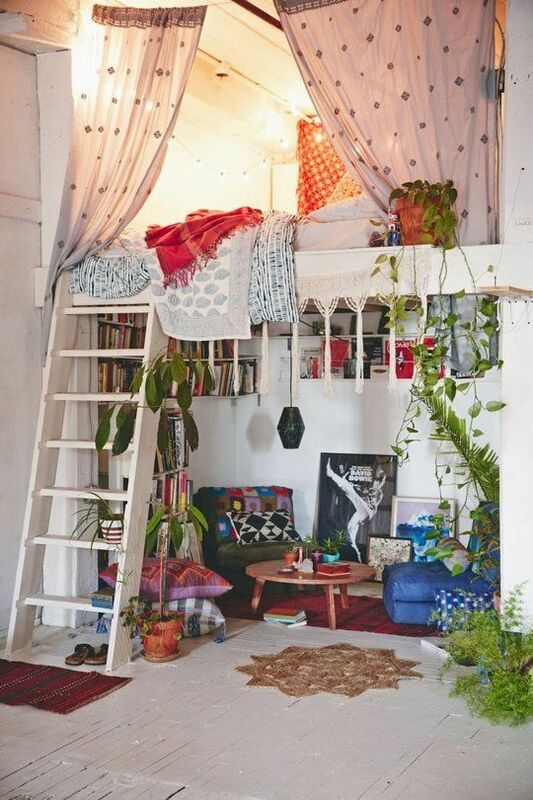 Living in a very small apartment or flat does not mean that you have to sacrifice the hippie chic in you. In fact, there are so many things you can do to maximize your small space. With the help of proper planning and the right items to match your hippie ideas, there is ultimately no stopping your hippie madness. For instance, this area can function as both your bedroom and your receiving area. With the right number of pillows and wall embellishments, you are on your way to creating something extraordinary from your very small space. And don’t forget that having wall designs are space savers since you just need to hand them on the wall. Some options to select from are cow skulls and dream catcher. Boho and chic, this room is a reminder to all hippies out there that you do not need to put all the embellishments on earth to make your room look hippie. 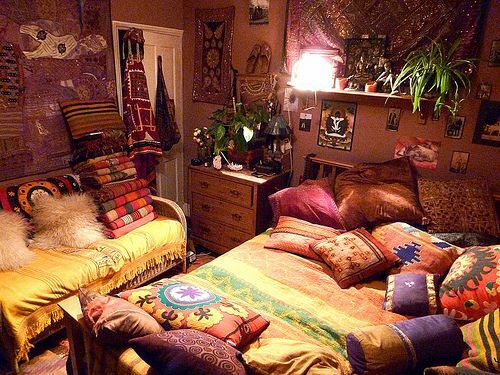 If you would notice, this room has very minimal home décor, but it definitely looks like the bed of a full-pledged hippie. 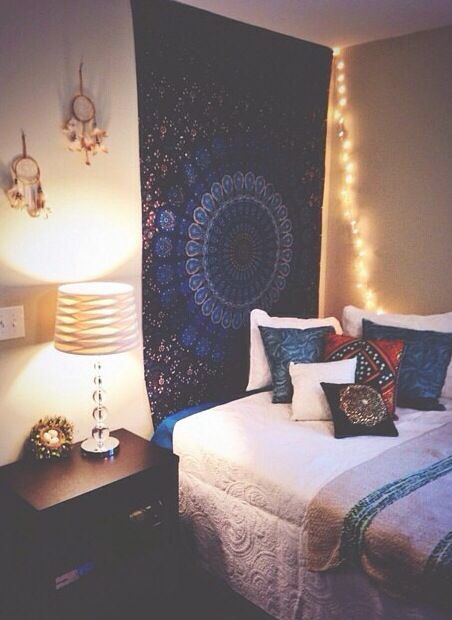 What I love the most about it is the wall decoration that perfectly matches with the cute little pillows. And yes, let’s not forget the lightings. With this design inspiration, you can definitely bring out the best in your little space. Since we are working with a very limited space, our main goal is to maximize the area and make sure that every element that could complete a home is still present. For people out there who are tired of waking up to a crowded room, this is the perfect home décor idea for you. With the living room area and the bedroom area designed to work harmoniously together without sacrificing the little space you have, you are guaranteed a home sweet home. Being hippie is all about being comfortable with who you are and where you are. It doesn’t matter how large or small your room is as long as you are able to suffice your need to create a space that can reflect your persona. 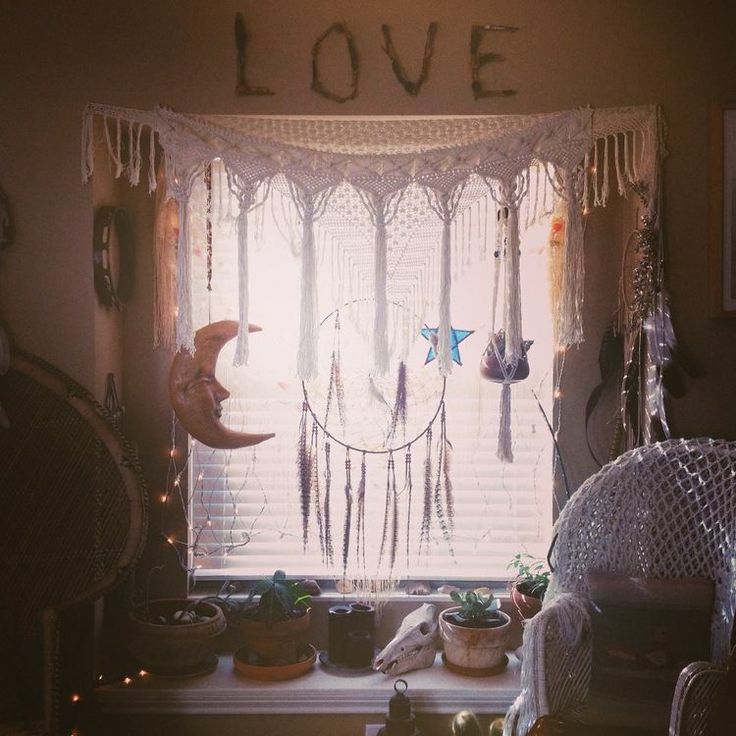 This hippie-inspired window is definitely proof of that. 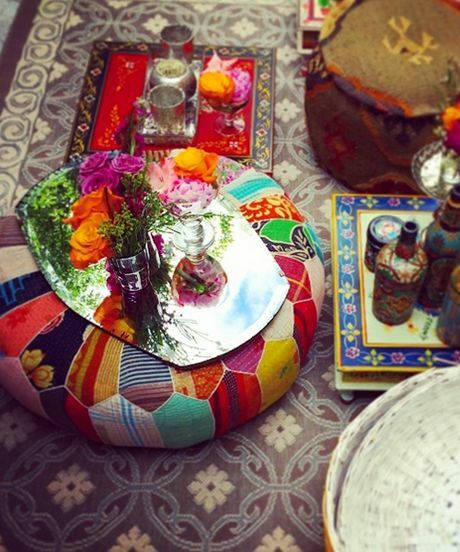 With just the right items hanging on your windows, ceilings and walls, you are going to ace creating that hippie space. No matter how beautiful an idea is, always remember that being hippie is not about replicating the old, but creating a better version of yourself and letting your persona shine through your marvelous work.